Well guys, I’m packing up the rental car and heading out to Sag Harbor for the 4th, so this will be my final post of the week. See you back here Monday, have a fantabulous holiday (share your own plans in the comments if you’re feeling so inclined), and meanwhile, check out this organic linen leopard print tunic from Emerson Fry, which is going to make the best beach cover-up. 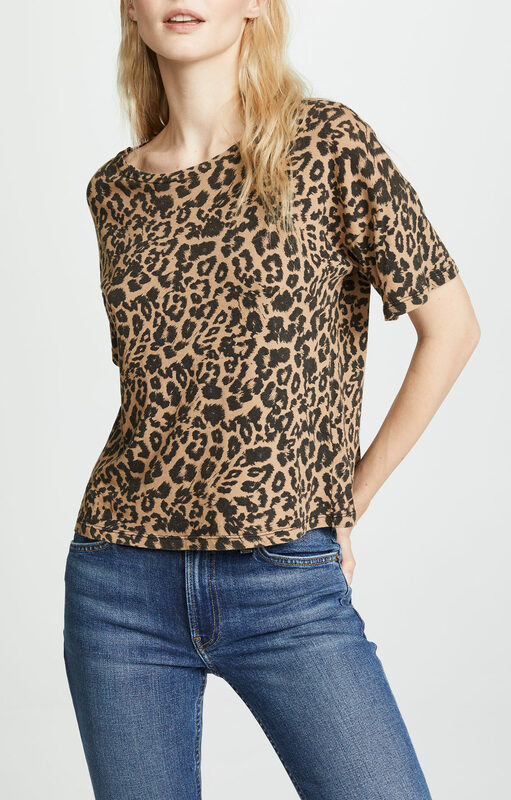 I suppose I’ve got animal prints on the brain, because I also think this tee is pretty great. 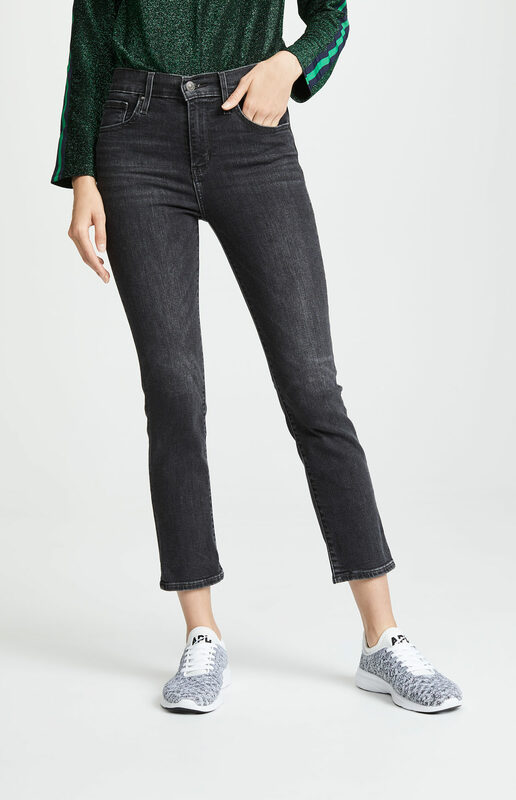 A pair of cropped Levi’s jeans that have a waistline that is high but not too high sounds exactly right at the moment. 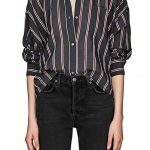 I dig the kind of abstract heart print on this Anine Bing blouse. 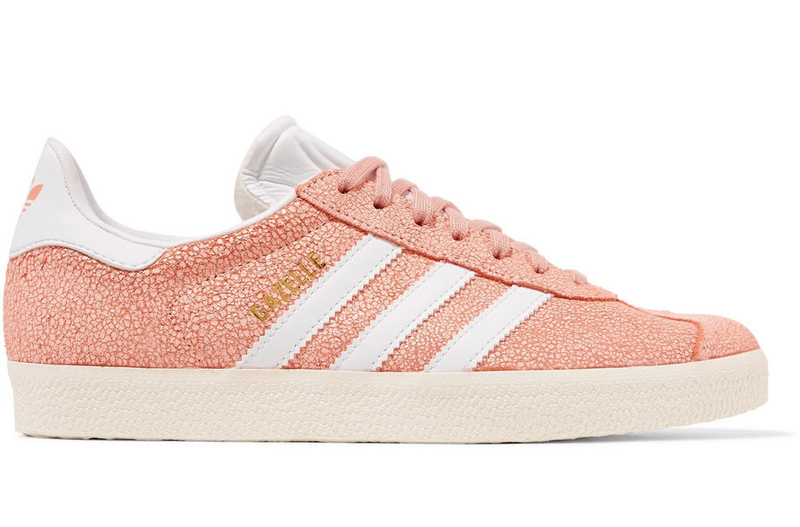 The cracked-suede effect on these Adidas is so cool and weathered-looking. 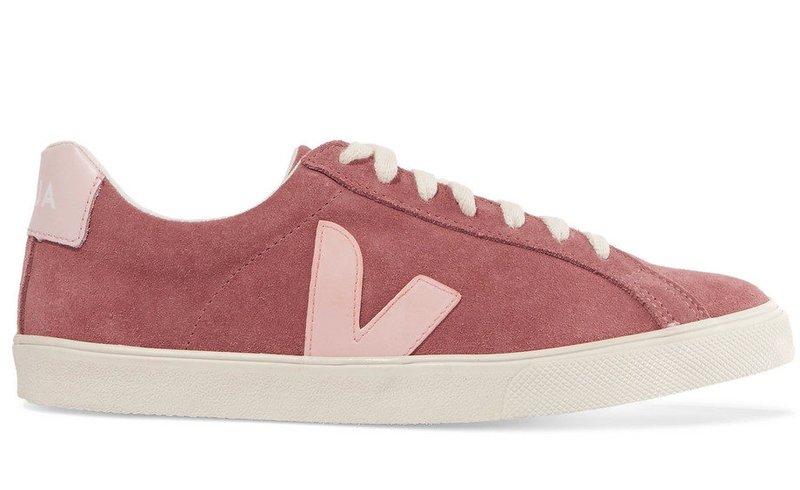 And more sneakers: the pink and red here really appeals. 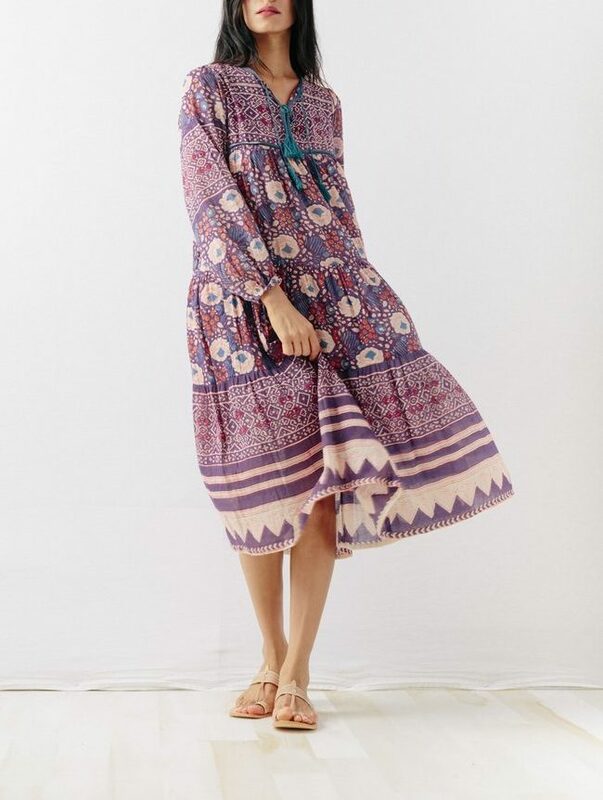 A super-lightweight, flowy hippie girl dress for wiltingly hot days. I was born in Houston, Texas in 1964 and have lived in New York City since 1988. I had a long career in magazines, working at Sassy, Elle, New York, and Spin, and in 2000, I founded Lucky magazine, which I edited for ten years. Thanks for that pink red combo suggestion –it feels right. I’m in nyc now for the first time since last summer-am thrilled one of my favorite museums-Cooper Hewitt is open today so I’ll be strolling there in a bit! Thanks for that pink red combo suggestion --it feels right. I'm in nyc now for the first time since last summer-am thrilled one of my favorite museums-Cooper Hewitt is open today so I'll be strolling there in a bit! Ha! Just before I read this I put the long Leopard sleeveless caftan from Emerson fry in my cart!:-). It’s a bit glamorous for the Catskills which is where I’m headed in a few minutes but I care not! A mere 8 1/2 hours in the car from va…. Ha! Just before I read this I put the long Leopard sleeveless caftan from Emerson fry in my cart!:-). It’s a bit glamorous for the Catskills which is where I’m headed in a few minutes but I care not! A mere 8 1/2 hours in the car from va.... Happy 4th y’all! Don’t you always have animal prints on the brain? 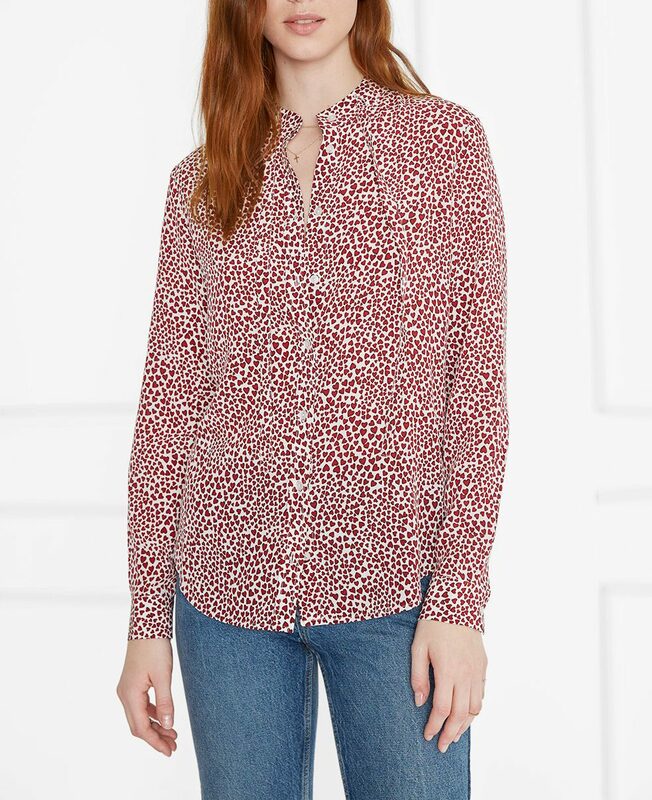 Don't you always have animal prints on the brain? I bought that Emerson Fry print as a shirt a while back and wore it out! great choice Enjoy the Fourth!! Hell yes leopard print! I can seriously not have enough of it in my closet. I’m trying to back off on clothing purchases until fall but I might have to get that caftan *and* the tee because they are perfect. Have a great time in Sag Harbor! I hope the weather is glorious. We’re not doing anything special, just smoking a ton of pork, watching baseball and avoiding the news (hashtag-goals). Hell yes leopard print! I can seriously not have enough of it in my closet. 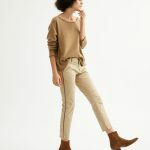 I’m trying to back off on clothing purchases until fall but I might have to get that caftan *and* the tee because they are perfect. Have a great time in Sag Harbor! I hope the weather is glorious. We’re not doing anything special, just smoking a ton of pork, watching baseball and avoiding the news (hashtag-goals). That Tee is the best! Have a wonderful 4th. We live in a town in Southern California that actually allows fireworks, so we’ll be hosting our annual BBQ ( for like, the 25th year) which begins with burgers and potato salad and ends with adults and children running around barefoot with sparklers. It’s like 1962 all over again. That Tee is the best! Have a wonderful 4th. We live in a town in Southern California that actually allows fireworks, so we'll be hosting our annual BBQ ( for like, the 25th year) which begins with burgers and potato salad and ends with adults and children running around barefoot with sparklers. It's like 1962 all over again. Speaking of sneakers, I wondered what you recommend for a 54-year old jeans and tee dresser in Portland. Comfort is key, and I don’t want my feet to look like boats (I’m 5′ 2″ with size 9 feet). I’ve had good luck with Jack Purcell’s in the past, standard low top Converse are a bit to clown feet and not enough support anymore. Happy 4th! Speaking of sneakers, I wondered what you recommend for a 54-year old jeans and tee dresser in Portland. Comfort is key, and I don't want my feet to look like boats (I'm 5' 2" with size 9 feet). I've had good luck with Jack Purcell's in the past, standard low top Converse are a bit to clown feet and not enough support anymore. Thanks! Check out the low profile converse. They have a nice retro but more streamline look. I am a big fan of the simple slightly off white leather pumas at madewell. Check out the low profile converse. They have a nice retro but more streamline look. I am a big fan of the simple slightly off white leather pumas at madewell. I’ve been thinking about that Emerson Fry leopard tunic dress for our trip to Greece this fall. It’s at a wellness resort (I think it means you do yoga and starve) so I will be zenning out and not wanting constricting clothing. Plus, I love the hippie dress! It tics all of the boxes! At our vacation home in Alabama. BBQ and blueberry pie. Back to to the tropics tomorrow. Do you wish to register on GOACA to save your details for future comments? Join my newsletter! The latest fashion, beauty and inspiration for all the girls of a certain age. © Copyright 2019 GOACA. All rights reserved. No search term specified. Showing recent items.Search or use up and down arrow keys to select an item.